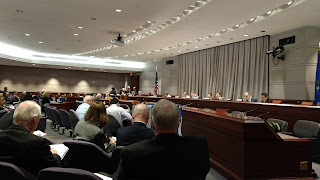 On March 20, 2017, I got an amazing opportunity to testify before the Judiciary Committee of the Connecticut House & Senate, on Senate Bill 428. This Bill, if voted upon, and signed in to law would repeal RREC, or Good Time Credits for Inmates convicted of Violent Crimes. It specifically lists out which crimes, but it’s safe to say, it covers all of the greatest hits; Murder, Assault, Robbery Home Invasion, Arson, and it even includes Sale of Drugs for Profit. This is the result of tireless work done by Senator Len Suzio, who covers, Meriden, Cheshire, Middlefield, Middletown, Rockfall. I say tireless, because Len has been advocating for this Bill, even before he was a Senator. At least 5 years now; Or when Frankie, “The Razor”, Resto, killed 70 year old, Ibrahim Ghazal, a Store Owner in Meriden, CT, on June 27, 2012. Resto, a former inmate, had been released from prison early, in April 2012, after receiving 199 Days of RREC Credits. If not for RREC, Resto would not have been out of prison, and the Ghazal family, would have their father still. jailed. An act which probably saved my life, and, set me upon a most unusual path. You see, for the 9 years prior, I was a functioning drug addict. I had become addicted like so many others, after being prescribed Vicodin for a broken ankle. I had some unresolved issues, after a terrible event in 2001, and I used the Vicodin to mask my feelings. Luckily, I was a terrible criminal, and I was caught, and no one was injured that night. My unusual path, began when I confessed to the Police. Through that, I recognized the whole event for the blessing it was, and used jail, to become clean, and work on recovery. And, that’s exactly what I did. I used my entire time in prison to work on bettering myself. Not an easy thing to do in prison; But it can be done! And when I got out, I continued on that path. Ultimately, my case ended up being discharged early, and I have been clean from drugs for 6 years now. Oh, and by the way, I received a Month and a half of RREC myself. Yup. I can speak on it, because I participated in the program. I was never paroled, or sent back in the community, on community release. All I received was the month and a half. Honestly, for me, it didn’t make a difference one way or the other. However, in prison, when the program was implemented, it turned the tide of how inmates thought. Suddenly, people were going home a lot sooner than they ever thought. It’s a cold day in hell if anyone in prison cares about rehabilitation; Believe me, in my recovery journey, it was mighty cold, because I was often, mighty alone. Though when RREC came back in to effect, everyone’s thoughts, turned right towards when they were leaving, and what they were going to do when they left. Guys coming in, were immediately thinking of when they were leaving. I have a term I have phrased: “Prison Math”. In prison, your sentence, is not really your sentence. As soon as that Judge says, “I am placing you in the custody of the Department of Corrections.”, whatever your sentence was, is undercut, by whatever the rules are in the DOC. Violent Crimes, you must serve 85% of your sentence. Non- Violent, 50%. Anything 2 years and under, is considered eligible for Transitional Supervision, which means, Violent, or Non- Violent, you only need to serve 50%, and then you get released in to the community. Then, yes, you have RREC. The rules now, depending on your security level, you can get up to 5 days per month off of your sentence. Inmates, I don’t care if they only made it through Kindergarten; They will be able to tell you exactly the day they’re supposed to walk out the door, with every day off they’re going to earn, a half hour after they’re sentenced. And therein lies the whole point: The focus is on how early can I get out. Not on what do I need to do to rehabilitate. The Correctional System itself, is overcrowded at best. Like the Inmates, the System looks for ways to send people out in to the community, so that it frees up beds in the prisons. It’s a game that’s never won. Every time you send an Inmate out, and Inmate comes in. And at certain times of year, it’s worse than that. The entire system does not promote rehabilitation. This is why I got ahold of Senator Suzio a while ago, and I started giving him my support in seeing this Bill passed. I’ve long put prison in my rearview. To a degree. It’s something that will always stay with me, and while I don’t agree with the RREC Program, I want to see resources given to the DOC, to help them create effective programming, that reduces the overall crime rate. In this journey, I’ve met the families of victims of violent crime, and while it’s truly sad to see a grieving Mother, or Father, it empowers me to become that much more involved. One thing that’s always stuck with me through the years, is something a guy said to me, while I was in prison; He was a repeat offender, and had spent more than half his life in prison. I asked him why he keeps committing crimes. He said to me, that he enjoys living a certain lifestyle, that he can’t get if he had a normal job, and that the prison time is just so easy to do. That was the only person to ever phrase it exactly that way, but it sure seems like most inmates live that way. Recidivism is at 50% for a National Average. In Connecticut, they say we’re doing a tad better, at 46%, and if you want to break it down by every class of criminal, you could. So, I ask myself: Why are we as a society, making prison time so easy to do? Frankie, “The Razor”, Resto, was a recidivist. He obviously had no regard for prison time, because not even two months out of prison, he pulled the trigger of a gun, ending the life of Ibrahim Ghazal. It’s not a proper explanation, to tell the Ghazal family, that Resto’s prison time was so easy to do, that’s why, Resto killed their father. Absolutely, without question, Frankie Resto killed their father, but at some point, we fostered that behavior in him. We had a duty as a society, to rehabilitate him. We failed. 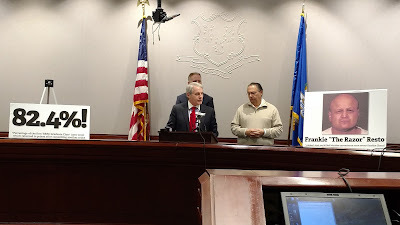 If any Inmate, 2 months after leaving a Connecticut Correctional Facility, thinks it’s ok to pick up a firearm, and commit any act of violence, we need to rethink our whole stance on rehabilitation. With the RREC Program, we’re handing out a reward, to violent offenders, for waking up and existing. That’s wrong, and we need to change that. I also had a chance to meet the Stochmal Family. Their sister, Joyce, was brutally stabbed 17 times, and dumped in a lake, by David Weinberg, in 1984. Weinberg was eventually arrested, and sentenced to 60 Years to Life. On March, 2, 2017, 26 years later, David Weinberg was set free. He had earned over 12 years of RREC. He had submitted a Habeas Corpus, and had his conviction questioned, but not overturned. 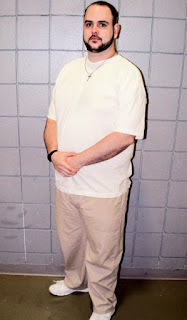 A Judge, considered Weinberg’s time served; 39 Years with RREC, and came to the conclusion that if Weinberg were to be granted another trial, he would most likely be granted time served if the conviction were upheld. A plea agreement was reached, that the conviction would be upheld, and he would be allowed to go free. 26 years on a 60 to Life Sentence. Is that what Justice looks like these days? I’ll close with this: What message are we sending to criminals? If you commit a crime, you’ll do a lot of time, (Not Necessarily All That Hard) Maybe? I made a mistake, due to some terrible circumstances. I never offered an excuse. It was a terrible lapse in judgement, and I’m forever sorry. I’m the exception, not the rule. But would it be so bad if more Inmates feel like I do? We can’t be afraid to tough on crime. I know we have budget issues in this state, but crime costs society dearly every day. In monetary damages, and in damages to the very fabric of society. We can’t be lax in this are any longer. I urge all of you to research SB 428; It’s a quick search on Google. You can also become involved if you’d like, and send your testimony to the Judiciary Committee, by emailing judtestimony@cga.gov. Reference SB 428 in the subject line. This is a great way to get involved and help, and make sure Violent Offenders aren’t released early. It’s time we become a State, that when a sentence is handed down, the offender serves that sentence. Otherwise, we undermine our Judges and Magistrates, and become weak on crime as a society as a whole. Thank you for this post and thank you to Brian E Clark for writing this article. I have to agree with you. Crime should be taken very seriously by our society and the response we should be giving should be a very tough one. I agree with you, that we, within the context of our societal norm, have made it very easy for a criminal to be a criminal and to stay a criminal. It is because of our lax stance on breaking the law that we have give criminals the "right" to continue to victimize our society, as if there is some acceptable reason why criminals commit crime. The reason they commit crime is because no one within the legal system has ever told them "NO" and actually mean it. The system does not back its "NO" with doing whatever is necessary to make "NO" mean "NO". We continue to "punish" criminals by sending them "back home" to prison, to all that is familiar and victimizing and build their skills, as a criminal to be just a better criminal when they get out. There is no restitution or recompense expected. Somehow we have been led to believe that time behind bars is meaningful to the criminal. It isn't. It would be meaningful for a non-criminal person to live in prison but for the criminal it is merely a way to expand their skills and plan their next crime. We should not have dropped the death sentence and instead should be realizing, that crime will not stop until the response is great enough, of a "No. No, you will not commit a crime. No, you will not receive leniency. No, we do not accept crime from you." The response we should be giving should be such a serious No(!) response that the criminal actually becomes afraid to commit crime. Perhaps then we will see criminal rates go down and real rehabilitation actually happen. The only reason that the prison system continues as it does, is because it provides jobs for the workers needed to keep a prison and its system alive. We should be putting our efforts into stopping crime by actually making very hard sentences, and in the case of murder, the death sentence. Until we take criminal behavior and the system used to "control" them much more seriously and more demanding and difficult for the convicted criminal, then we, the non-criminal people in our society will continue to be victimized. Frankly, we are creating our own problems, and we really should be growing up and getting out of this very flawed and very incompetent response to criminals. Crime is not acceptable and we should be treating it as such. NO should mean NO. Thank you for your comment, Dr. Jones. I'm largely in agreement. But the problems in our prison system are many. It's called the "Department of Correction" but there is absolutely nothing done to correct ANYTHING. Prisoners are warehoused, harassed by guards who think it is their duty to inflict hardship on inmates, denied basic medical care and access to treatment and accomdation guaranteed them by the ADA; things as simple as a mattress. Anyone interested can search this blog for the "Behind Bars" series, and they can get an idea.